So when people told me what to expect when going to University they said you either get fit or you get fat. I guess I chose the former as three years down the line I find myself having finished yet another Ironman, this time the Ironman 70.3 World Championships in Las Vegas. 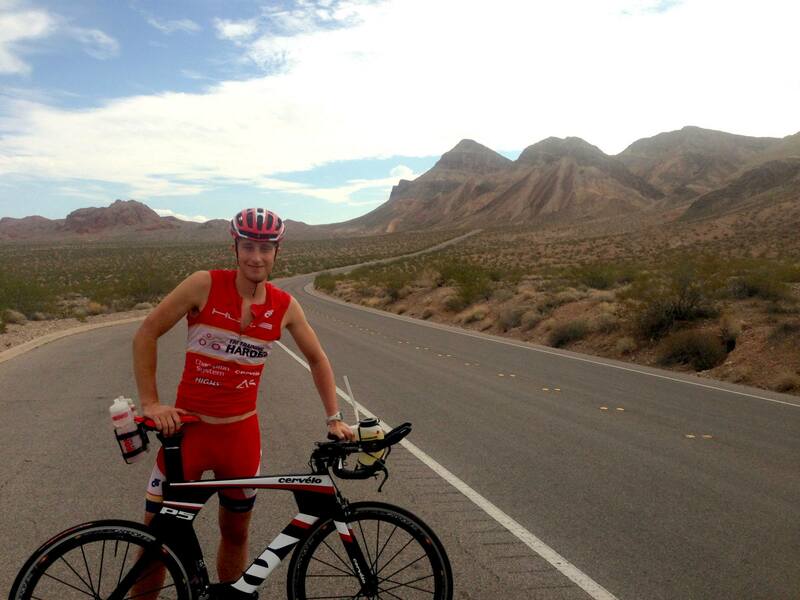 Training in the middle of the Mojave Desert for the Ironman 70.3 World Championships. Coming to Durham was my first exposure to triathlon. I wanted a sport that would get me super fit, but be flexible enough to let me make the most of Durham’s social and academic opportunities. 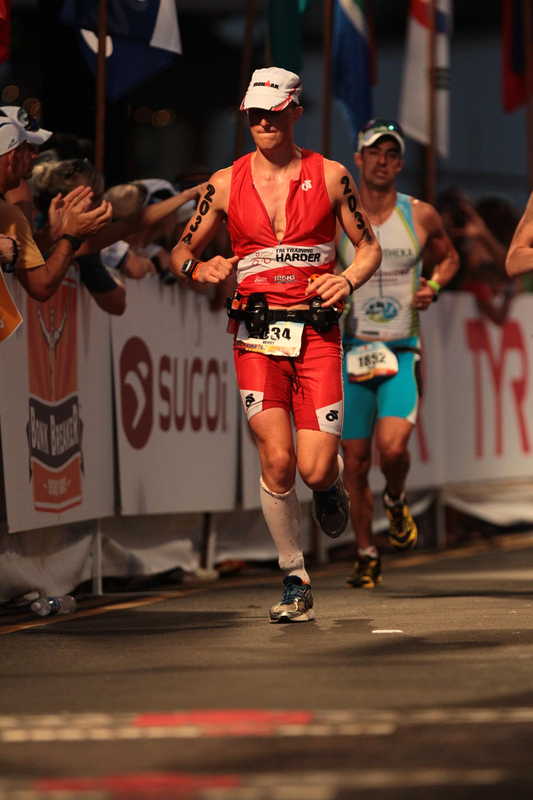 Whilst Ironman triathlon might not seem to be the best choice in fact it has turned out to fit in pretty well. With it being an individual sport I can fit my training in and around big social events and academic events, giving me the best of all three worlds. After my first year race at BUCS sprint, the annual inter university triathlon, and Ironman 70.3 UK, the bug to go further and faster bit deep. My second year I became a coached athlete of Tri Training Harder and succeeded in not only finishing at Ironman UK but also in Qualifying for Kona, Hawaii, the Ironman World Championships held in October every year. With the University behind me, allowing me three extra weeks away – unfortunately missing fresher’s week round II – I packed my bags for Hawaii and had an experience that will stay with me for the rest of my life. Although the race was the hardest thing I have ever participated in the journey was one of the best. Harry finished with 11:14:39 on the clock. Since finishing that amazing race, I gained a place on Tri Training Harder’s prestigious racing team, which provides sponsorship and free training camps on the South Coast of the Algarve, Portugal. Without Tri Training Harder’s help I would never have been able to achieve these results. This year I have raced BUCS Sprint, BUCS 25M Time Trial, BUCS Olympic, Ironman 70.3 UK, Ironman Switzerland, and the Ironman 70.3 World Championships with Ironman Cozumel, Mexico, still to go in December. Whilst Ironman has a pretty hard-core fitness fanatic ring about it, I can promise you it’s a sport for anyone. And if the long distance isn’t your thing that’s fine as the University’s Triathlon Performance Squad focuses on the Sprint and Olympic distance races, providing for those seeking a lung bursting sense of achievement. 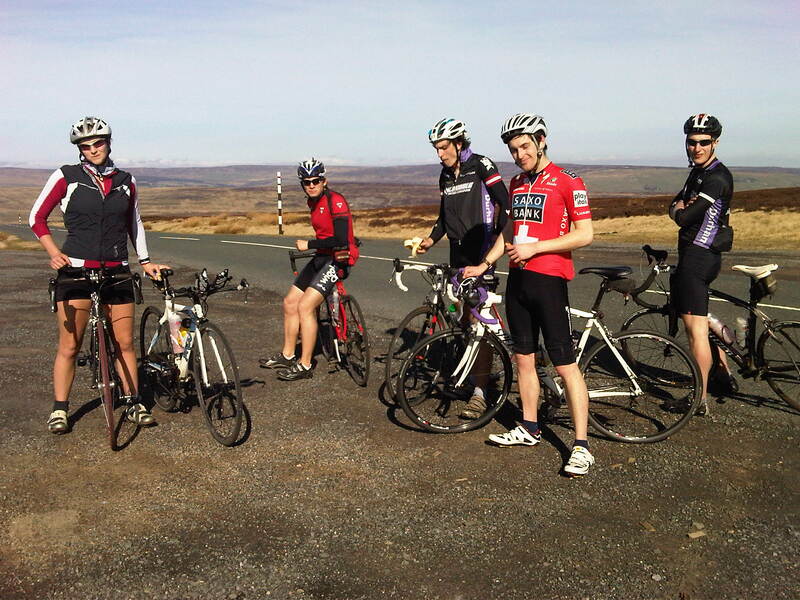 Cycling up on the moors, Durham boasts some of the best scenery in the UK! And if you don’t want to be apart of the top end performance squad there is still plenty on offer throughout the triathlon club. Learn to swim, cycle and run as well as compete in regular races. I guarantee, if you want to have fun whilst getting fit Durham Universities Triathlon Club is the place to be! So, if you are considering Durham University all I can say is go for it, I wouldn’t have been able to do all of this without the support and encouragement from fellow students, triathletes and staff at this amazing University. Coming to Durham you can truly become a student-athlete, gaining an excellent academic degree whilst competing to the highest of standards. And if your already at Durham and are looking for a new fitness challenge consider triathlon as the next step! Harry is a member of St. Aidans College, he completed his undergraduate degree this summer in Geography and Education and is now studying Defence, Development and Diplomacy (MA) at the University. This entry was posted in Uncategorized and tagged Durham University, Hawaii, Ironman 70.3, Ironman Triathlon, Ironman World Championship, Kona, Kona District Hawaii, Sport, Student experience, Triathlon, University sport on October 30, 2013 by The Durham Diary. Who wouldn’t want to exchange Freshers with the opportunity to race in Hawaii. This is amazing and very inspiring.